K. A. Last: A Novel Idea! Creative writing isn’t easy. Sometimes the words flow from our fingertips, and other times they swim around in our minds in a jumbled mess. One day we can be full of inspiration, drinking endless cups of tea, and the next we’re hunkering in our recliner, eating ice cream from the tub, wondering why our characters are being so difficult. Organising our thoughts is one of the hardest things when it comes to creative writing. Designed to guide writers of any age and skill level, A Novel Idea! provides you with all the prompts needed to help turn your initial light bulb moment into something special. The illustrations scattered throughout this journal will assist your thought process, and help you expand your ideas and story. From plot, to characters, to world-building and more, A Novel Idea! 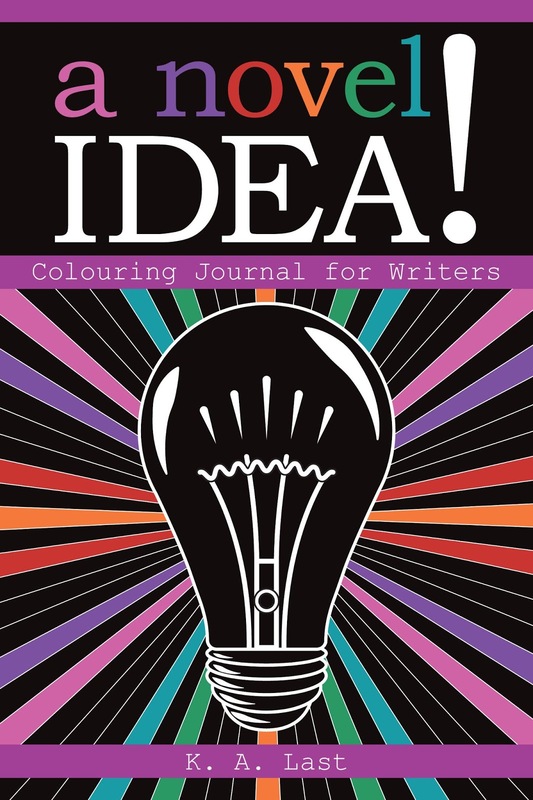 combines the therapeutic art of colouring with the craft of creative writing, and provides stress relief during your creative process.